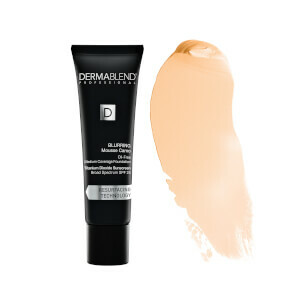 Achieve an airbrushed complexion with Dermablend Smooth Liquid Camo Foundation; a medium coverage makeup that provides all-day hydration and the bonus of broad spectrum SPF 25 for ultimate skin protection. 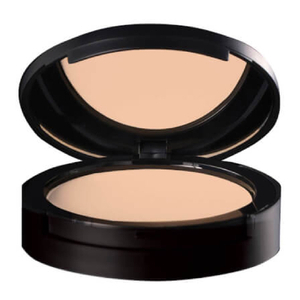 Effortlessly gliding over the visage, the ultra-smooth, blendable formula offers high performance pigments that boast the ability to conceal and camouflage an array of skin imperfections such as uneven skin tone, blemishes and redness without becoming cakey or masky. Weightless and non-drying, the hydrating liquid foundation offers a flexible, seamless and comfortable finish for a range of skin tones, with results lasting up to 16 hours*. 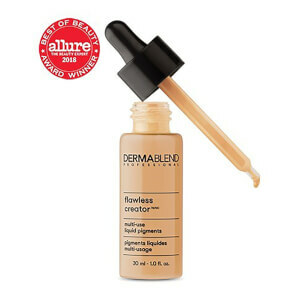 Both smudge and transfer-resistant, the breathable foundation leaves skin looking natural and healthy. Non-comedogenic. Dermatologist and allergy tested on sensitive skin. Free from parabens, phthalates, triclosan and SLS. Vegan friendly. * When set with Dermablend Setting Powder. Water, Undecane, Dimethicone, Glycerin, Tridecane, Polyglyceryl-4 Isostearate, Pentylene Glycol, Cetyl PEG/PPG-10/1, Dimethicone, Hexyl Laurate, Magnesium Sulfate, Disteardimonium Hectorite, Trihydroxystearin, Cellulose Gum, Aluminum Hydroxide, Disodium Stearoyl Glutamate, Acetylated Glycol Stearate, Acrylates Copolymer, Ethylhexylglycerin; May Contain: Titanium Dioxide, Iron Oxides. 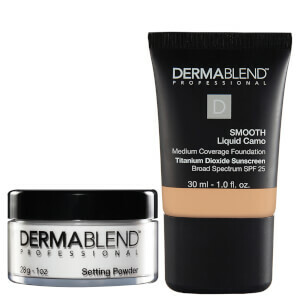 The Dermablend Smooth Liquid Foundation works very well for vitiligo conditions.